Every day as I drive to work, I pass these small businesses along Paramount Blvd. 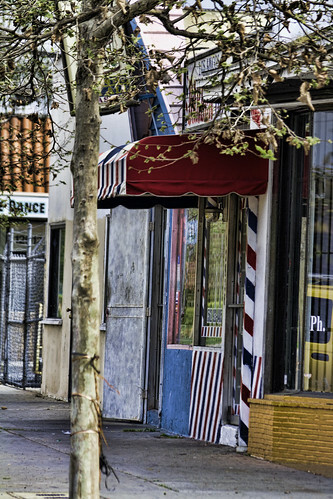 This one in particular, an old-style barber shop, has caught my attention for a few weeks now. 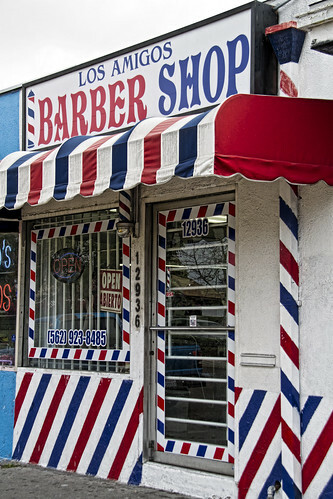 It certainly has the traditional barber shop look—including the striped barber's pole (a tradition dating back to medieval times).